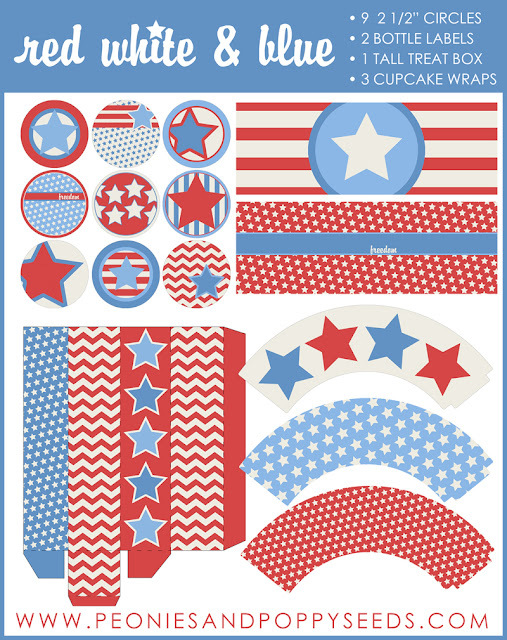 Just click the image to download these free red white and blue printables. The 4th of July is a week away - how are you celebrating? I bet you could use some printable cupcake wrappers, 2 1/2" circle toppers, water bottle labels, and tall treat box, couldn't you? The tall box is especially awesome because it's perfect for holding stuff like straws, or flags, or SPARKLERS (but only ones that aren't lit yet, you know, unless you really like fire).